After years of working for someone else a person acquires the skills and knowledge to start a business. However the unavailability of start-up capital holds them back. Imagine using the tax you have paid on your hard earned money to be used for your own benefit. Is there a way you can use tax reliefs or schemes to make your dream a reality? Here are some of the tax reliefs and incentives available in Ireland which could offer a way to support your dream ICT start-up. SURE is a tax relief incentive scheme if you are interested to start your own company. You are entitled to income tax refund of up to 41% of the capital. Also, depending on size of the investment you can avail refund of income tax paid over the 6 years prior to the year in which you invest. The minimum investment under the scheme is €250 and the maximum investment is € 100,000 per year. Therefore, maximum limit on SURE investment is €700,000 as €100,000 may be relieved in previous 6 years and the current year(Revenue, 2015b). It is a relief from income tax scheme and not a tax credit. Hence, relief must be claimed up to the extent of your total income in each selected years. If you are interested to get more information or use a SURE calculator to know how much relief you are entitled to please visit the revenue’s website. In conjunction with SURE, you can qualify for EII to raise funds for your start-up from third party investors. It can be a wonderful approach to get investment from your friends and family. EII offers the incentive to investors by ensuring up to 41% tax relief on their total income for a three year investment period. However there are restrictions regarding the size and location of company to qualify for EII. A company which carries operation in a “non-assisted” area (Meath, Dublin, Kildare, Wicklow and Cork) must be small or micro sized enterprise. A company located in rest of the country may be a micro, small or medium sized enterprise. The minimum investment by an individual is €250 and the maximum of € 150,000 per annum in each tax year up to 2020(Revenue, 2015a). You can raise a maximum of €2,500,000 in any one twelfth month period and a lifetime maximum of €10,000,000 using SURE and EII(Revenue, 2015b). You can find more information about EII by the clicking on the link. In Budget 2016, there are some changes announced to incentivise entrepreneurs. You can have some spare cash by using credits and reliefs available to invest back in your company. You can get Earned Income Tax Credit to the value of €550 for 2016 (O’Dwyer, 2015). Also, from 1st January 2016, 20% will apply to the sale of all or part of a business with an overall limit of €1m in Capital Gains Tax(Kennedy, 2015). As part of “start-up companies’ relief “ you can avail a three year remission from taxation from profits and capital gains if your company has a tax liability of less than €40,000 per annum. Marginal relief is applied if corporation tax is between €40,000 and €60,000. And no relief is applied to start-ups where corporation tax liability is over €60,000. With corporation rate at 12.5% you can shelter up to €960,000 of profits from tax for three year period. The relief is for certain start-ups which commence trading between 2009 and 2015(pwc, 2015). Relief is also available for interest payable for money borrowed for the purpose of purchase, improvement or repair of rented property. EPPs are pension schemes set up by an employer to provide retirement benefits for employees, Directors or senior executives. EPPs have a different legislative status to personal pensions. Under this type of pension you can benefit from increased funding capacity because your contributions are eligible for relief from income tax, PRSI and the levy(Mercer, 2014). Also, corporation tax relief is available on your start-up’s contribution (subject to certain limits). However ,under “JobsPlus Youth” part of scheme, the qualifying period for jobseekers under 25 has been reduced to 4 months(Protection, 2015). Capital allowances are a tax write-off for qualified capital expenditures against profits over a period of time. There is no approved list of qualifying items of expenditure for allowances purposes. You may claim wear and tear allowances at 12.5% per annum for plant and machinery and 4% per annum for industrial buildings(Lynn, 2014). With Energy efficient capital allowance you may claim 100% on energy-efficient equipment within 1 year(KPMG, 2015a). R& D tax credit is tax-based incentive. If you are carrying R&D you can get either tax credit of up to 25 percent on your expenditures (both revenue and capital) or receive cash (subjected to certain terms and conditions)(KPMG, 2015b). It is good that Irish government is supportive of young businesses. And there is an effort by the government to make it easy to start-up and expand a new business. Along with government grants available you can make a go at making your dream a reality. However, the key is knowing how to navigate the bureaucracy to gain access to public funds .You have to think imaginatively and creatively to determine how to get funds for your start-up at a particular stage. BOURG, A. 2013. EIIS An Alternative Source of Finance? [Online]. bes. Available: http://www.bes.ie/downloads/EIIS-Alternative-Source-of-Finance-Accountancy-Ireland-Apr-13.pdf [Accessed 05/12 2015]. KENNEDY, J. 2015. Budget 2016: Changes to income and capital gains tax for entrepreneurs [Online]. siliconrepublic. Available: https://www.siliconrepublic.com/start-ups/2015/10/13/budget-2016-changes-to-income-and-capital-gains-tax-for-entrepreneurs [Accessed 06/12 2015]. KPMG. 2015. Capital allowances explained [Online]. KPMG. Available: http://www.kpmg.com/IE/en/services/Tax/capital-allowances/Pages/capital-allowances-explained.aspx [Accessed 06/12 2015]. KPMG. 2015. Explaining R&D tax credits in Ireland [Online]. KPMG. Available: http://www.kpmg.com/IE/en/services/Tax/RD/Pages/WhatIsRD.aspx [Accessed 06/12 2015]. LYNN, A. 2014. 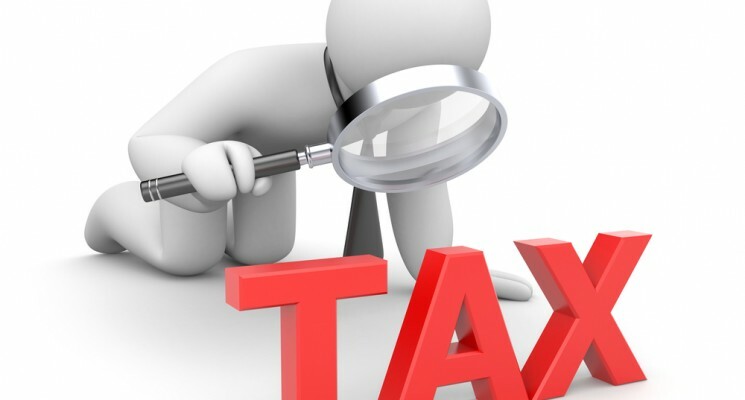 Tax Tips for SMEs [Online]. deloitte. Available: http://www2.deloitte.com/ie/en/pages/deloitte-private/articles/tax-tips-for-smes.html# [Accessed 06/12 2015]. MERCER. 2014. Executive Pension Plans (EPPs) [Online]. Mercer. Available: http://www.oneview.mercer.ie/plan-your-pension/retirement-long-term-planning/private-pensions/executive-pension-plans.html [Accessed 06/12 2015]. O’DWYER, P. 2015. BUDGET 2016: Tax credit ‘first step’ towards equal footing [Online]. irishexaminer. Available: http://www.irishexaminer.com/budget2016/budget2016-analysis/budget-2016-tax-credit-first-step-towards-equal-footing-359167.html [Accessed 06/12 2015]. Available: https://www.welfare.ie/en/Pages/Jobs-Plus.aspx [Accessed 06/12 2015]. PWC. 2015. Tax Facts 2015 [Online]. pwc. Available: http://download.pwc.com/ie/pubs/2015-pwc-ireland-tax-facts.pdf [Accessed 06/12 2015]. REVENUE. 2015. IT 55 – The Employment and Investment Incentive (EII) – Relief for Investment in Corporate Trades [Online]. revenue. Available: http://www.revenue.ie/en/tax/it/leaflets/it55.html [Accessed 03/12 2015]. REVENUE. 2015. Startup Refunds for Entrepreneurs (SURE) – IT15 [Online]. revenue. Available: http://www.revenue.ie/en/tax/it/leaflets/it15.html [Accessed 03/12 2015].